The Bieh Telegraph)–-“The only thing that will salvage this situation is to get more dollars, work to make sure that oil production goes back to pre-crisis levels, this is very important!” That’s a prescription the deputy governor of the Central Bank of South Sudan, Mr Dor Majok, is recommending to resuscitate the economy. He said South Sudan has suffered several shocks in the recent past including the oil shutdown in 2010, the 2013 conflict and the drop in the prices of oil on the global market. “We have to pray that prices on the World Market should also rise.” he said. Deputy Governor Dor Majok, also explained in detail the process that led to the bank’s decision to float the currency last December. 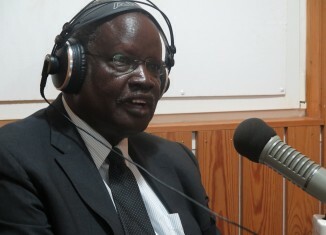 Majok said the lack of reserves made it difficult for the central back to defend the 2.9 exchange rate and borrowing triggered several economic variables including the depreciation of the south Sudanese’s pound. The deputy Governor stressed that the bank is not to blame completely for the economic situation, adding that management of the fiscal economy is a responsibility of the Ministry of Finance, while the bank plays an oversight role over monetary issues. Commenting on concerns about the Central Bank’s role in giving rise to parallel Forex markets, the Deputy Governor, said the Central Bank does not have anything to do with the Black Market. In addition to his recommendation to diversify the economy, the Deputy Governor stressed that Peace is the best solution to the economic crisis. This entry was posted in Interviews, South Sudan Crisis. 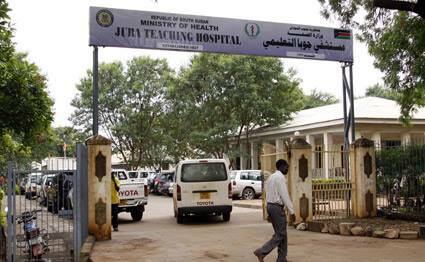 Juba Teaching Hospital to be Modernize. The Bieh Telegraph—–Juba Teaching Hospital will soon become a world class modernized hospital after engineers from China arrived to refurbish the already dilapidated medical facility. Speaking to The Daily Vision Newspaper, Dr. John Chol, the Director General of Juba Teaching Hospital said the Chinese team of engineers was received warmly and they plan to modernize the facility and also discuss the plans of a new design of the hospital. In his revelations, Dr. John said that they held a meeting chaired by the Minister of Health, the head of the Chinese team who doubles as the Chinese economic advisor in the Chinese mission to South Sudan, the Undersecretary in the Ministry of Health and Juba Teaching hospital senior staff. 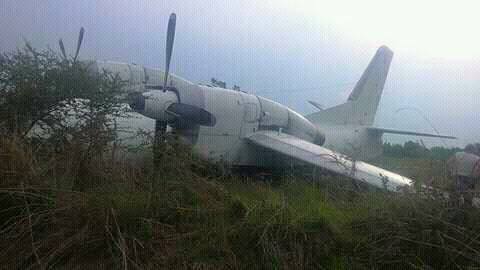 Breaking News: WFP Hired cargo Plane crash landed at Bor Airport this morning. (The Bieh Telegraph)—A cargo plane hired by WFP crashed landed this morning at Bor Airport. All the crew members survived. 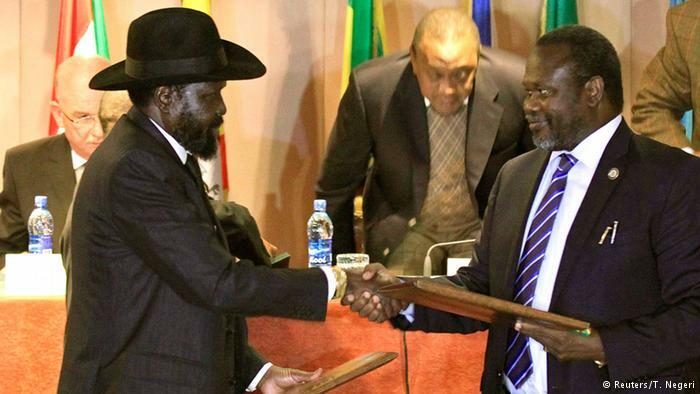 South Sudan President Salva Kiir and rebel leader Riek Machar shake hands. 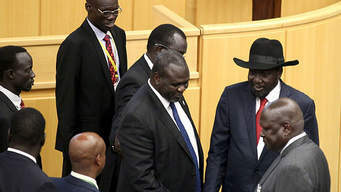 (The Bieh Telegraph)—-If Radio Tamazuj and The New York Times reports are to be believed, both the President, Salva Kiir and the First Vice President, Dr. Riek Machar are boldly reported to have opposed the establishment of the Hybrid Court. A move which rules out and contravenes the implementation of Chapter 5, Article 3 of the Agreement on the Resolution of Conflict in South Sudan (ARCSS). The two leaders who are equally the prime principals to the accord signed in August, 2015 to end the nearly two years South Sudan civil war were quoted to have justified their opposition to the Hybrid Court that, ‘IT WOULD DESTABLIZE EFFORTS TO UNITE OUR NATION BY KEEPING ALIVE ANGER AND HATRED AMONG THE PEOPLE OF SOUTH SUDAN.’ An argument which does not hold water completely. Up to this moment, I am made to comprehend that President Kiir and FVP Dr. Riek are none other than two sides of the same coin when they agree on self-serving interest and two different coins when they disagree on who should lead the nation. This attracts my reaction to the unwanted proposal being initiated by the two leaders. As the wise saying goes, make hay while the sun shines. South Sudanese are in excruciating wait to see to it that the Presidency makes the best use of the Hybrid Court as stipulated in the agreement. Unfortunately, the leaders do not want to make it seem like they mean the business given their controversial stance on the matter. Any attempt which is seen to thwart the establishment of the independent court that tries crimes of genocides, crimes against humanity, war crimes and crimes of sexual violence will be honestly construed as fundamental egocentrism. It stands to reason that our leaders put their interest above that of the troubled citizens. The reported new turn of event which exhibits the culture of violating the ARCSS is a reprehensible act. Shunning justice which brings culprits to book will only fuel more anger and hatred among the victims of the brutally massacred population. Those that the court identifies as perpetrators must lie on the beds they have made. leadership means its functions. We cannot let quest for power dominate responsibilities coupled to it. Having a flashback to the initial stages of the Addis Ababa negotiation, identification and addressing of the root cause of the problem was the chief ideal of the agenda although it was later abandoned for the emergence of the new road maps of the compromised talks. Had it not been what drives today‘s new proposal by the two leaders, the settlement of the problem which would start by addressing the main cause of the war and possibly lead to identifying those responsible for all forms of crimes would not have changed track. The slogan; JUSTICE, LIBERTY AND PROSPERITY on our Emblem and in National Anthem needs not be misconstrued by any patriotic citizen. It is every South Sudanese’s duty to observe the treaties, legal and moral standards of human right just as other nations in the world do. Ultimately, no one is above the law and that we cannot evade justice under the false pretense that the court would destabilize efforts to unite our nation by keeping alive anger and hatred among the people of South Sudan. Let us give justice a chance so that those culprits are held responsible for their brutalities. Consequently, we must say that they have answered and born the results of what they intentionally committed. If we do not put justice in place, there will stand a vicious cycle of massacre in the Republic of South Sudan. For Justice, Liberty and Prosperity I articulate this opinion. This entry was posted in SPLM Affairs. (The Bieh Telegraph)—-President Salva Kiir and First Vice President Riek Machar have jointly announced their opposition to implementation of Chapter 5, Article 3 of the Agreement on the Resolution of the Conflict in South Sudan, which mandates the establishment of a Hybrid Court to try war criminals. The hybrid court would include both South Sudanese and African justice chosen by the African Union and would have authority to try crimes of genocide, crimes against humanity, war crimes and crimes of sexual violence, according to the peace deal. South Sudan’s peace deal says the Hybrid Court must be independent from South Sudan’s supreme court and it will carry out its own investigations. It also says that the decisions of the hybrid court may not be overturned by any of the national courts of South Sudan. “We fear that this task could be put in jeopardy if members of once opposing forces — from officers to privates — find themselves targeted with legal action. It is easy to see how some people, having known nothing but war, may prefer to return to the battlefield than stand trial in a foreign country,” they wrote. Meanwhile, the United Nations secretary-general has offered support to the African Union to help set up the hybrid court. Also, the UN Panel of Experts earlier this year named Machar and Kiir as people who fueled the war in South Sudan, saying they should be subject to a travel ban and asset freezes. The Hybrid Court mandated by the peace agreement has not yet been established. The peace deal gives the chairperson of the Commission of the AU the power to decide the seat of the court. This entry was posted in South Sudan Politics. Authority in Opposition Blamed Akoba Residents of Robbing the Down Plane.